2. The Promoter is Volkswagen Group Australia Pty Ltd (ABN 14 093 117 876) of 24 Muir Road, Chullora NSW 2109, telephone: 02 9695 6000. 3. Entry is only open to Australian residents (aged 18 years or over). 4. Employees (and their immediate families) of the Promoter, Volkswagen dealers (including their employees) and agencies associated with this promotion are ineligible to enter. Immediate family means any of the following: spouse, ex-spouse, de-facto spouse, child or step-child (whether natural or by adoption), parent, step-parent, grandparent, step-grandparent, uncle, aunt, niece, nephew, brother, sister, step-brother, step-sister or 1st cousin. 5. Entries into the promotion open at 9:00am AEST on 18/04/2019 and close at 11:59pm AEST on 27/04/2019 (“Promotional Period”). 6. To receive an automatic entry into the draw, individuals must, during the Promotional Period, take any new or demonstrator Volkswagen Passenger Vehicle (as defined below) for a test drive at any authorised Volkswagen dealership nationally, and provide their full name, telephone number and email address to the dealer at the time of the test drive. 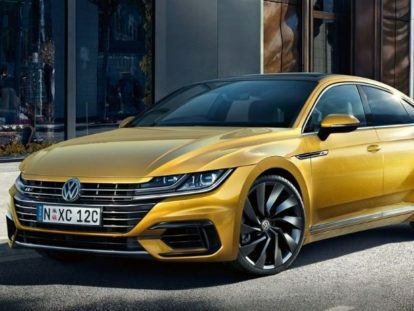 Polo, Polo GTI, Golf, Golf R, Golf GTI, Golf Wagon, Golf Alltrack, Tiguan, Tiguan Allspace, Passat, Passat Alltrack, Passat Wagon, Arteon and Touareg. 11. The draw will take place at Anisimoff Legal, Suite 5, Erina Plaza, 210 Central Coast Highway, Erina NSW 2250 on 03/05/2019 at 10am AEST, in the presence of an independent scrutineer. The winner will be notified in writing within two (2) business days of the draw and their name will be published in The Australian newspaper on 10/05/2019.The Promoter may draw additional reserve entries and record them in order in case an invalid entry or ineligible entrant is drawn. dealership can take up to five (5) months from when the winner is announced. redeem the prize at/by the time stipulated by the Promoter, then the prize will be forfeited. published in The Australian newspaper on 09/08/2019. arising in any way out of the promotion.supplied by the Promoter.22. Except for any liability that cannot by law be excluded, including the Non-Excludable Guarantees, the Promoter (including its respective officers, employees and agents) is not responsible for and excludes all liability (including negligence), for any personal injury; or any loss or damage (including loss of opportunity); whether direct, indirect, special or consequential, arising in any way out of: (a) any technical difficulties or equipment malfunction (whether or not under the Promoter’s control); (b) any theft, unauthorised access or third party interference; (c) any entry or prize claim that is late, lost, altered, damaged or misdirected (whether or not after their receipt by the Promoter) due to any reason beyond the reasonable control of the Promoter; (d) any variation in prize value to that stated in these Terms and Conditions; (e) any tax liability incurred by a winner or entrant; or (f) use of the prize.